Set to the rear of the owner’s home, with views over open fields to the side, in a peaceful location yet only a short distance of the popular seaside resort of Skegness, lie Ashington Holiday Cottages (refs 29130 and 29131 [Hawthorne Cottage]). They provide well-appointed, comfortable, detached accommodation, with each cottage sleeping up to four people. The traditional holiday resort of Skegness is well known for its sandy beaches, seal sanctuary, Gibraltor Point Nature Reserve and fun fair. There are two excellent 18-hole links golf courses nearby at North Shore and Seacroft, with fishing lakes throughout the area one of which is just ½ mile away. The region offers good walking and cycle routes, with the Lincolnshire Wolds and the market towns of Louth and Alford nearby. Horncastle, best known for its numerous antique shops, is about 25 minutes’ drive. Shop and pub serving food 1 mile. All on ground floor: Living room with double sofa bed and tiled floor/dining room/kitchen. 1 double bedroom. Bathroom with shower over bath and toilet. Both properties: Oil central heating, electric, bed linen and towels included. Travel cot. High-chair. Freeview TV. DVD. CD. Electric cooker. Washing machine. Wi-Fi. Enclosed lawned garden with patio, sitting-out area and furniture. Bar-be-que. Parking (2 cars). Cycle store. Welcome pack. Pet free of charge. No smoking. Holidays at Oak Cottage, Ashington Holiday Cottage run from Saturday to Saturday. For a better idea of where Ashington Holiday Cottage - Oak Cottage is, you can see Ashington Holiday Cottage - Oak Cottage on the map below. Ashington Holiday Cottage - Oak Cottage is in Lincolnshire; should you be on the lookout for a special offer, you can find all the special offers in Lincolnshire. It's always worth checking to see what is on offer at the moment. 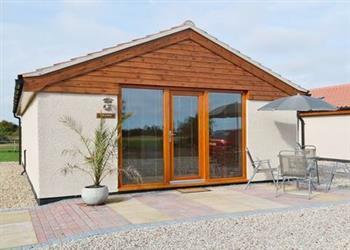 Do you want to holiday near Ashington Holiday Cottage - Oak Cottage (29130), you can see other cottages within 25 miles of Ashington Holiday Cottage - Oak Cottage; have a look to find your perfect holiday location.